Aw yeah! 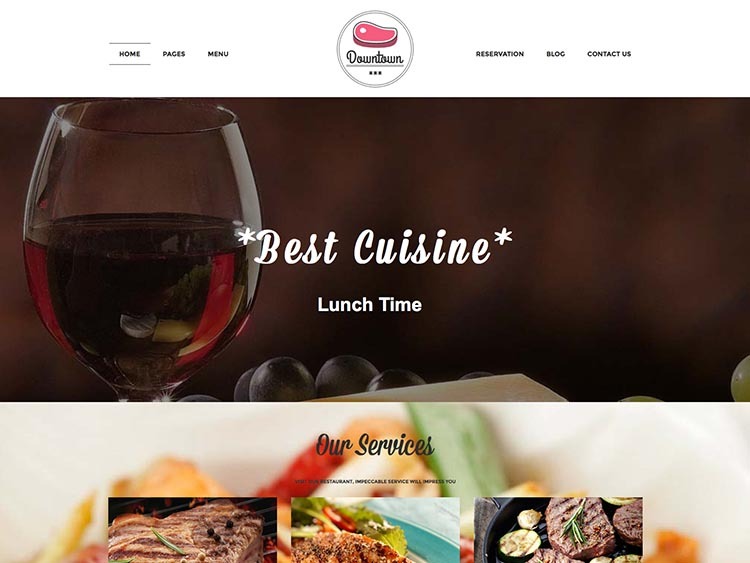 Presenting 2019’s best WordPress restaurant themes. Get ready! There were so, so many restaurant themes to sort through this time around, but we somehow managed to narrow it down. There’s a lot of variation in design here, but not so much variation in terms of features. All themes include a menu card of some sort, and most include an events calendar. Many offer a reservations system. They’re not exactly must-have features, but they could come in handy. These themes were hand selected, based on overall design quality and features. If you think we’ve made a terrible mistake by omitting a great theme, tell us in the comments. But, please: keep the profanity to a minimum. Finally, if you’re starting from scratch, and aren’t sure you want to use WordPress, you may want to consider using a cloud based website creator. Check out our comparison of WordPress, Wix, Weebly, and Duda. The brand-new Downtown by TeslaThemes theme tops our list, with its fantastic, modern design and easy to use features. Built on a sold HTML5/CSS3 code base, Downtown includes a menu, a booking form, and lots of potential for customization on the back-end using the included options panel. Downtown provides you with custom widgets, shortcodes, Google maps integration, and more. Also includes the premium slider plugin Revolution slider. 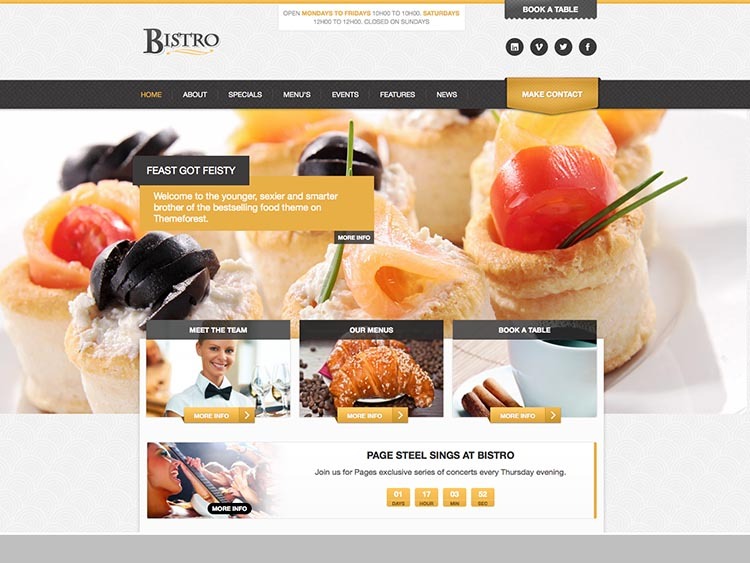 Next we have Bistro, a popular WordPress restaurant theme with over 1500 sales on ThemeForest. It includes a booking app, events calendar support, specials management and more. 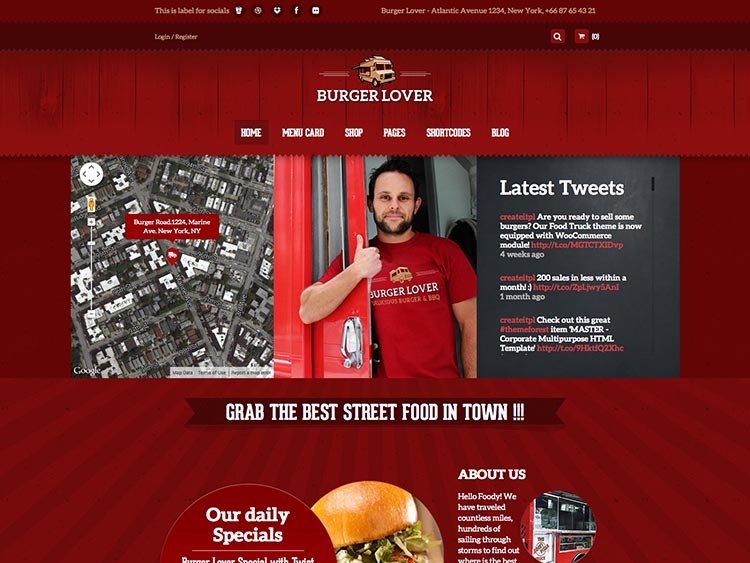 This responsive theme has tons of custom widgets packed in, as well as Google Maps integration. Easy to set up and use. 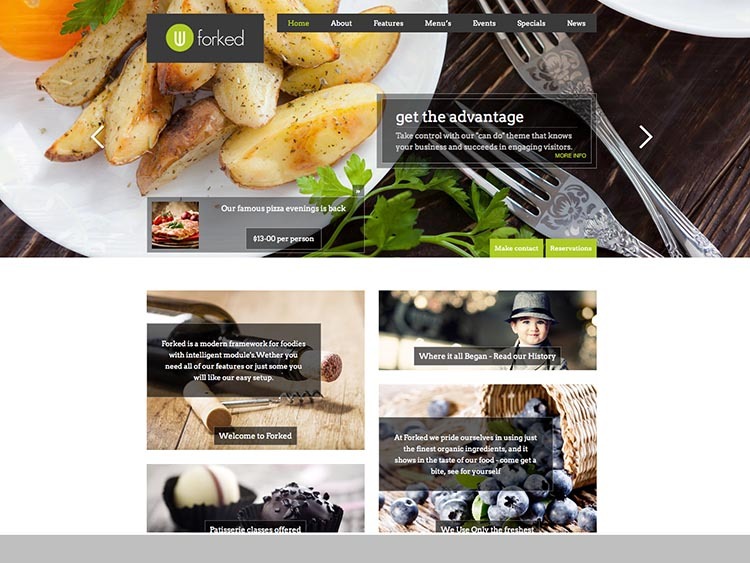 What does the responsive theme Forked have to offer, you ask? Well, here’s some things: an appointment/booking app, an events calendar, countless custom widgets, and lots of options on the back-end. Pretty good! 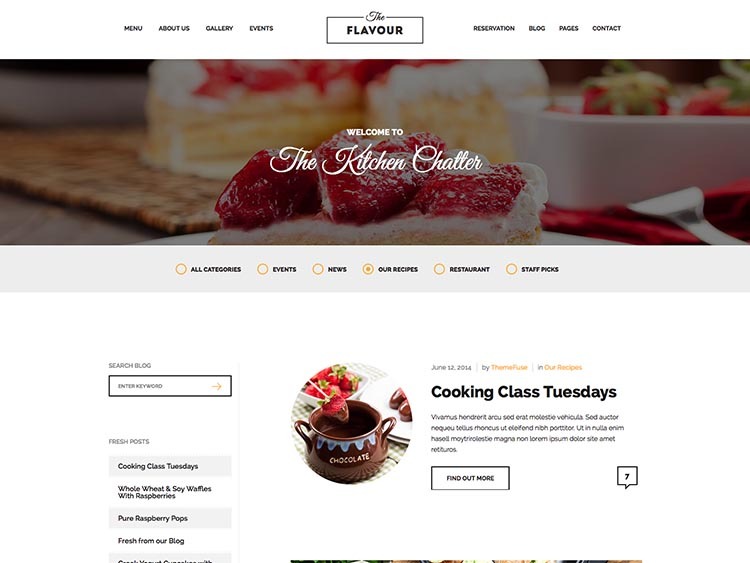 Kataleya is a multi-purpose WordPress restaurant theme that supports three different restaurant types: general restaurants, coffee shops, and pizza houses. It includes the premium plugin Visual Composer for painless drag & drop page building and the premium LayerSlider plugin for setting up an impressive homepage slideshow. 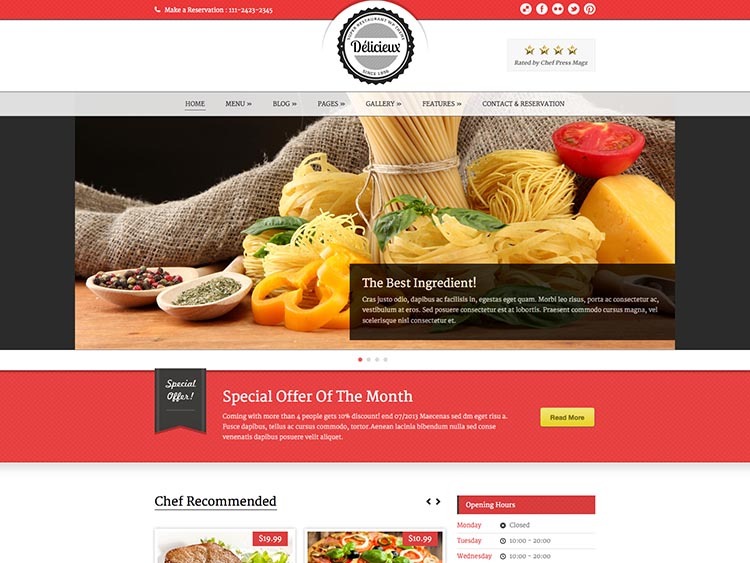 A fully functional online ordering plugin is a major highlight of this expertly designed responsive theme. 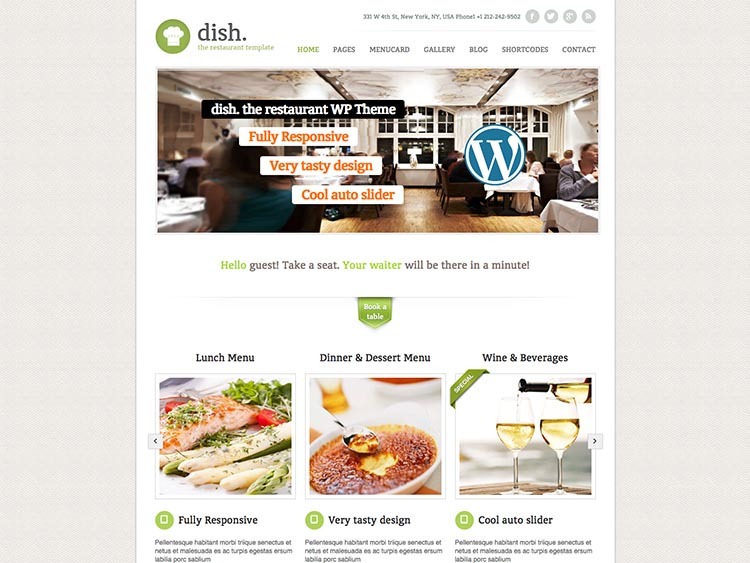 Dish is a fully responsive WordPress restaurant theme built with HTML5 and CSS3. It includes Revolution Slider, a shortcode generator, and eight useful custom widgets. Lots of customization options are provided on the back-end, and unlimited colors are supported. 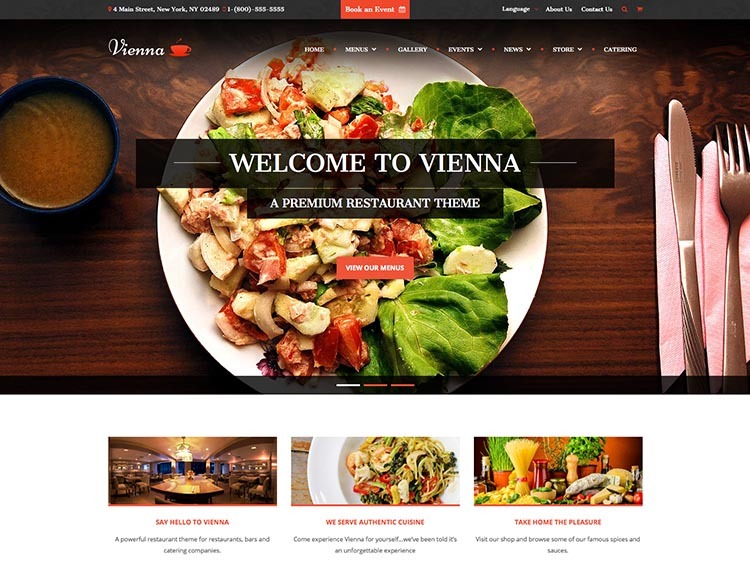 Vienna is one of the most feature-packed restaurant themes on our list. A menu system, catering and event forms, a staff post type and a gallery post type are provided. It’s responsive, WPML ready, retina-ready and WooCommerce ready. Over twenty custom shortcodes, FontAwesome support and Theme Customizer support make this a good choice. 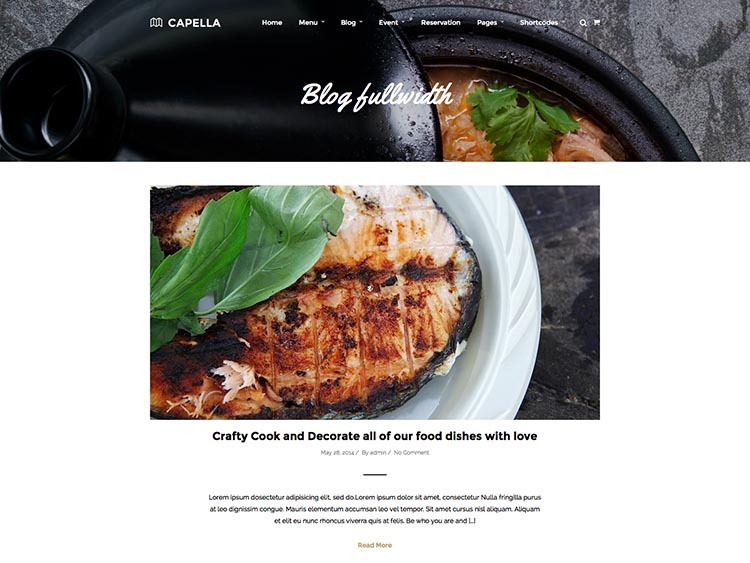 Capella is responsive and high resolution (retina-ready). Includes support for smooth scrolling parallax backgrounds, reservation and contact forms, and events. Excellent, searchable documentation is also offered. Munch is a fully customizable theme with four color scheme presets to get you started. Mobile-ready, Munch is SEO optimized out-of-the-box and includes a custom Shortcodes plugin. Reseveration forms and product menus are supported. The Flavour theme provides you with a classy, modern design for your restaurant that’s both responsive and retina-ready, so it’s going to look pretty good on your new iPad. Lots of features are offered up, like reservation management, restaurant specific icons, and an event calendar. The Flavour comes with an easy to use HTML5 animated slider. 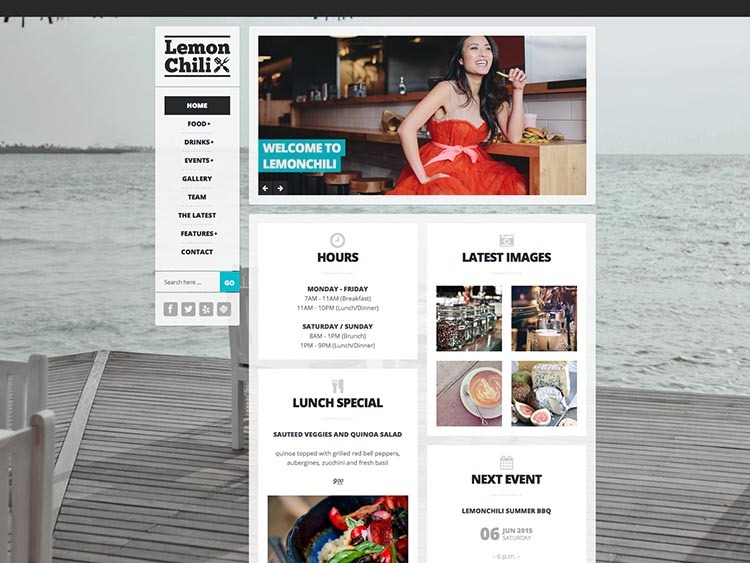 LemonChili is a restaurant theme that lends itself equally well to bars, cafes, clubs and events. You can create unlimited food and drink menus, set up galleries or events, and even assemble a team page to introduce your staff to your customers. There’s a light and dark versions to choose from, and lots of useful custom widgets bundled in. 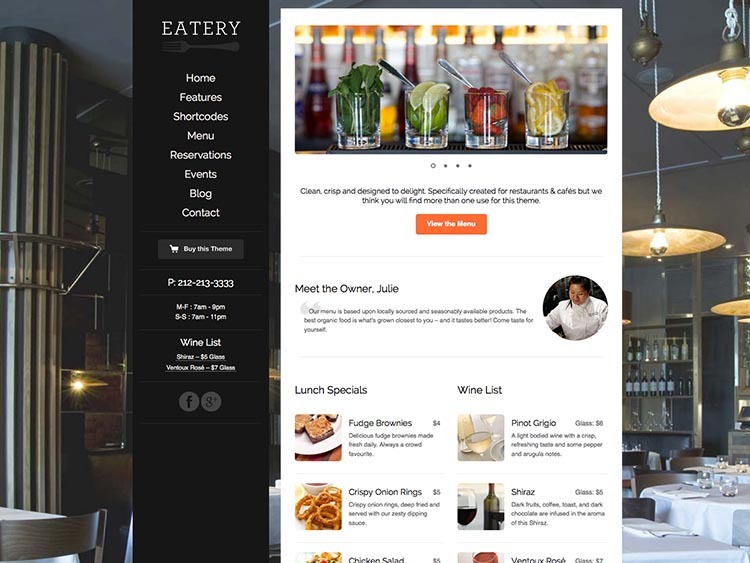 The Restaurant: Classic edition features a unqiue sliding menucard, special product pages, styled galleries and multiple homepage layouts to choose from. Mobile-ready and translation ready, this theme is also easy to setup and customize using the optional demo content and extensive theme options panel. Eatery gives you five skins and variations to select from, and a simple system for creating menu items and menu groups. This easy to use, responsive restaurant theme is packed with lots of shortcodes, unlimited Google fonts, and more. There’s lots of opportunity for customization and a PSD file is packaged with the theme. 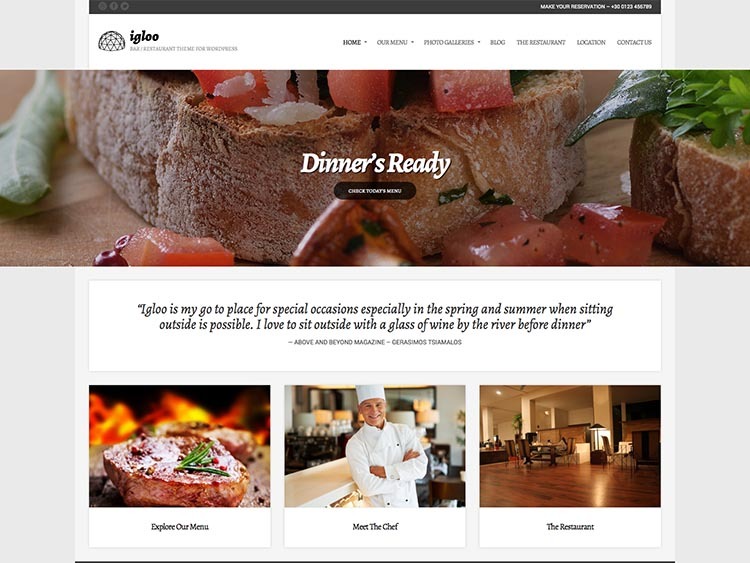 Le Maitre D is a simple, striped down WordPress restaurant theme that’s perfect for small restaurants and cafes. Takes advantage of the WordPress Theme Customizer for real-time customization on the back-end. Full control of text, background and link color. You can switch around your fonts and upload your own logo, too! Food Truck & Restaurant is a visually striking theme that includes ten different styles, so it’s not only for Food Trucks as the name might imply. The other styles are worth a look, because they’re all quite different. It’s almost like ten themes in one. You can also choose between a one page style layout, and multipage style. Supports WooCommerce. 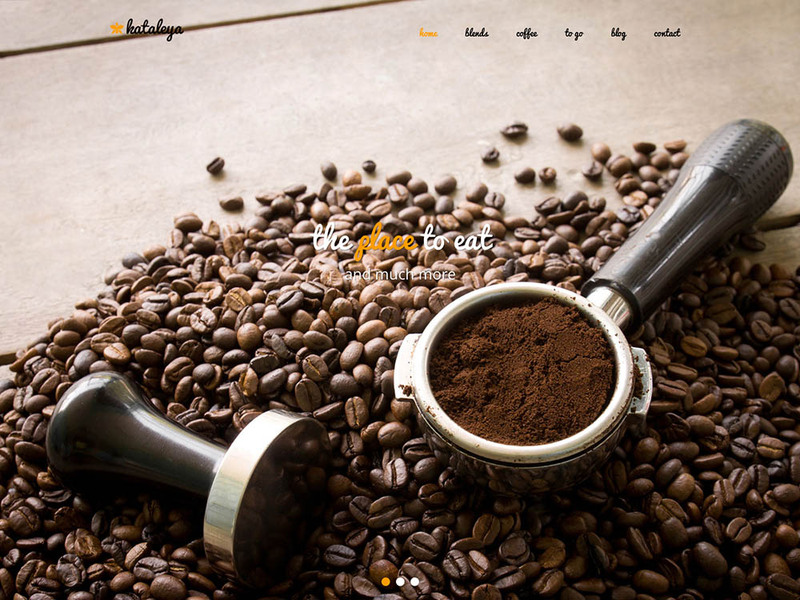 A last minute addition to the list, Delicieux is an older WordPress restaurant theme that we decided to include because of the quality of its design. 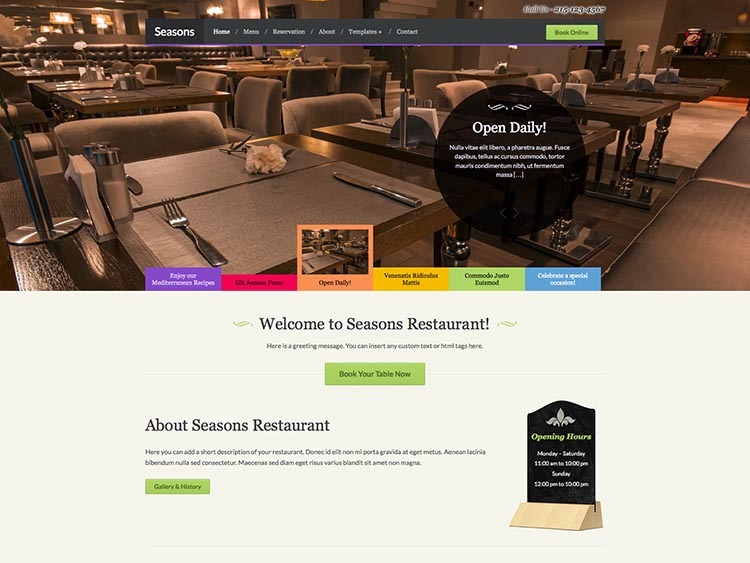 A food post type, food menu page, and page builder will help you to get your restaurant’s site up and running fast. Delicieux is responsive and multilingual. Unami comes to us from OrganizedThemes. This highly customizable theme (preview your changes in real time) provides support for food menus and WooCommerce. It’s mobile-ready and makes a strong visual impact with it’s full-screen photo backgrounds. 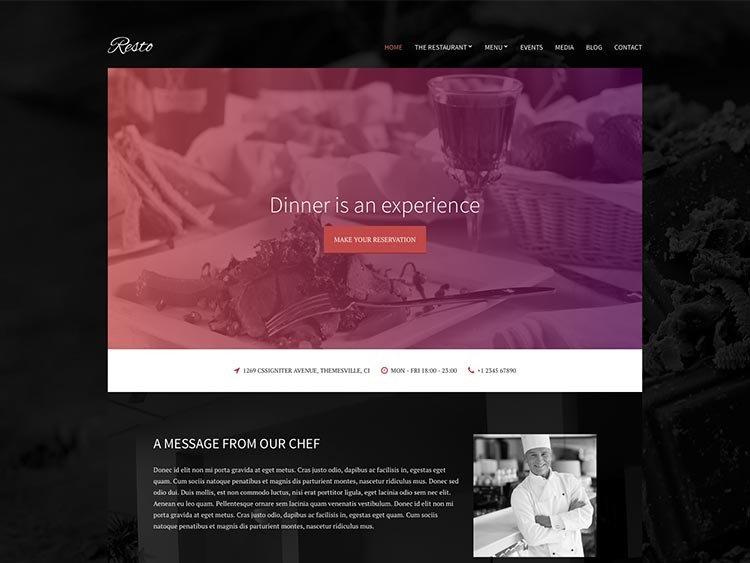 Resto is a responsive restaurant theme designed by cssigniter. 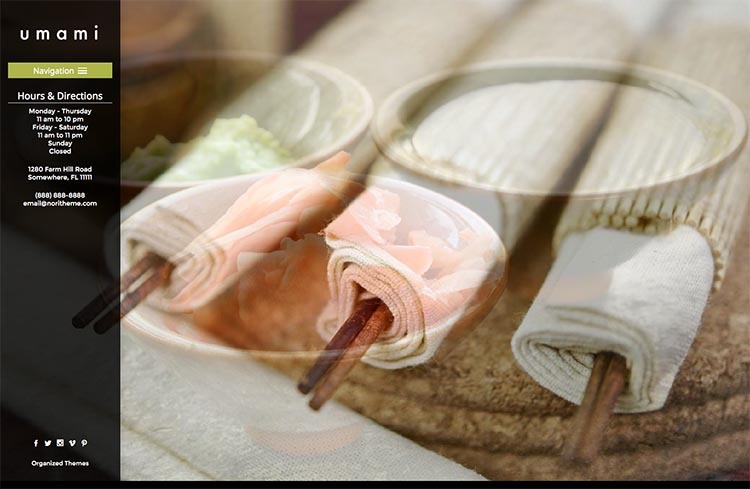 Menu management, events management and reservation are supported. Resto allows you to layout your homepage using a drag & drop page builder. Next we have Seasons, by the popular developer WPZOOM. Built on top of the ZOOM framework, Seasons provides you with a food menu template, and the ability to dd your dishes via custom post type. Additional styling for Gravity Forms is included. The responsive theme also comes with a unqiue slideshow, and gives you control over your header and general styling in the theme options. 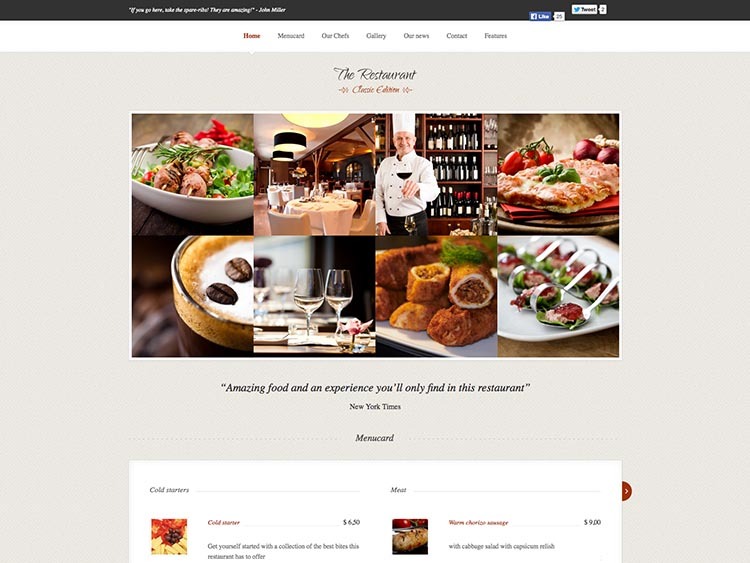 Another WordPress restaurant theme by cssigniter, Igloo offers many of the same features as Resto, above. Nine different page templates and a menu catalog make this one worth considering. 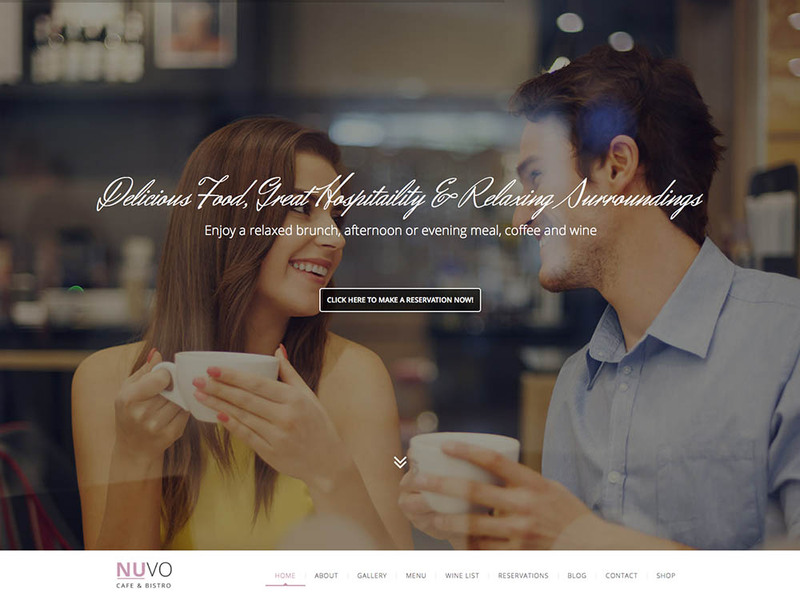 Nuvo is an elegant, modern restaurant theme that’s responsive and supports parallax backgrounds. A menu builder, reservations management and events management are included. Nuvo also supports WooCommerce, and comes bundled with the premium plugins Revolution Slider and Visual Composer (for drag & drop page building). If you like any of the themes above, but you want it to be changed to suit your needs, there’s a great solution for you. You can get your theme customized to fit your needs for as little as $50 from a top seller on Fiverr. Or if you want to go a different route, you can get a completely custom WordPress theme programmed and installed for $100. This can be a great alternative to buying and setting up a theme, if you want to save time or aren’t experienced with WordPress. 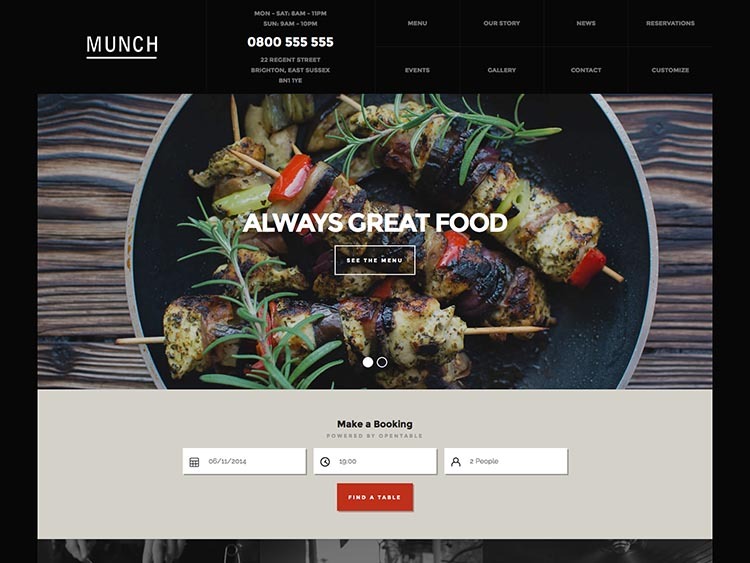 So that’s our list of the best WordPress restaurant themes – for now. Tune in next time, when we’ll be rounding up a different set of themes entirely.